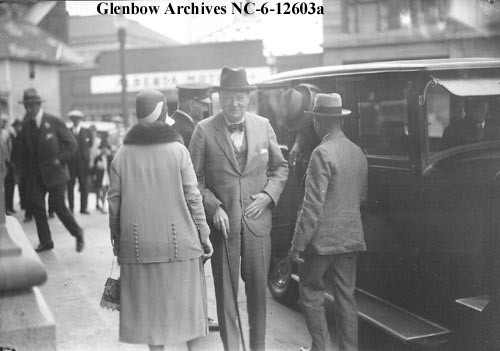 Winston Churchill Square was named in 1965, but it has been long forgotten that this former British Prime Minister once visited Edmonton (as a somewhat younger man) in August of 1929. 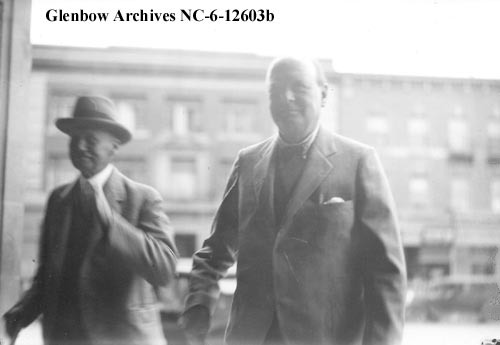 I have found photographs of him arriving at the Hotel MacDonald and some press coverage from the time. Sadly, it looks like the best article (so far) is in French. I have had a coworker read a bit of it to me and will hopefully be able to get a good translation posted down the road. In the above image we can see the Dominion Building in the background. 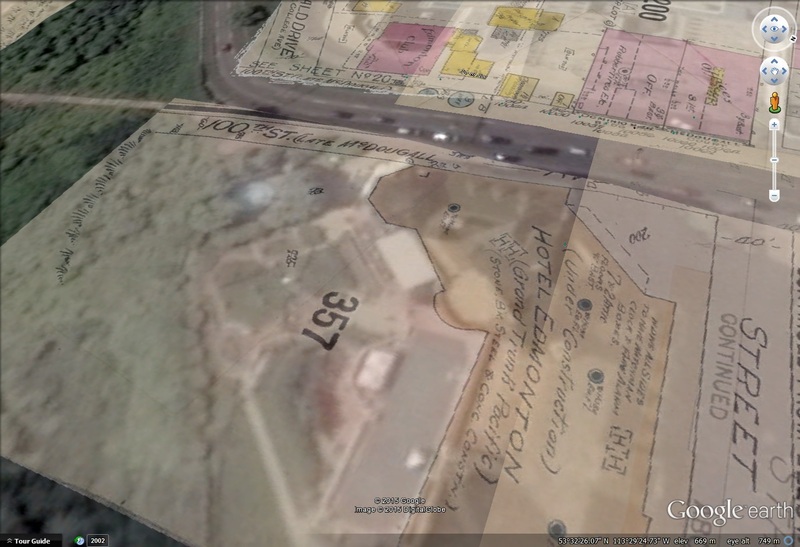 This entry was posted in Uncategorized and tagged 100 Street, 1920s, Dominion Building, Hotel MacDonald, Winston Churchill on January 21, 2015 by Yesterworld.